Saw this today. 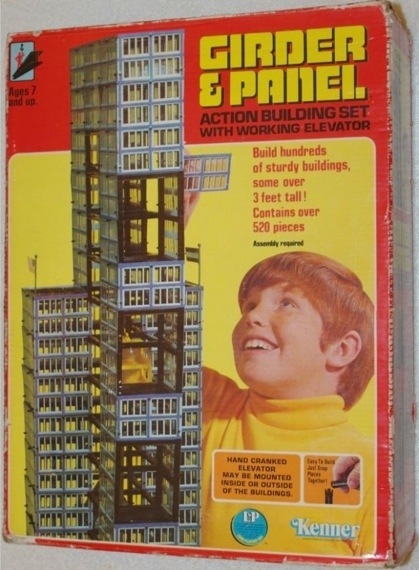 The Kenner Girder and Panel set was one of my favorite toys as a kid. Ah yes, great fun! This was Kenner’s answer to Erector and I remember preferring it because the results were so much more sturdy. I miss Kenner’s passion, and it’s such a shame they were decimated by HasBLO. I remember the song in the commercial…Buildin! Buildin!Dah Dah Dah Daaaaah! Wasn’t there also a brick and mortar set?